Musician who had performed with 2 AK Oki popular models in magazines HIPHOP joined by Sophia, founded in 2007. Boxer mean surfer and model, with three each individual. The music side of Hawaii Reggae “Jawaiian” inspired work started. Hawaidebyuarubamu “808” is up to the local shop “BOARDERS” also topped the sales. From late July 2008, Hawaii’s most popular brand in Japan “88Tees” CM CM of Hawaii as a character but on air. Then, two months behind in Hawaii. 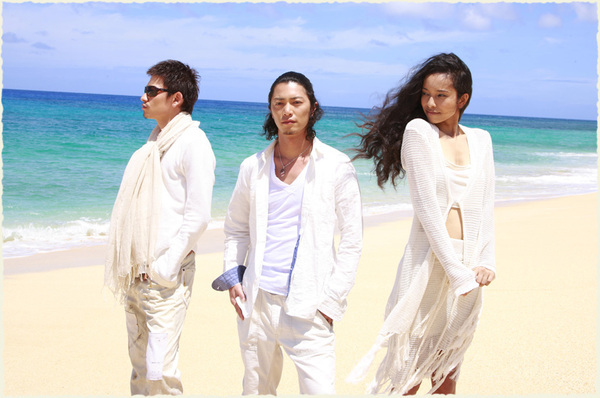 August 27 “sound Tears” debuted in Japan. In November, Fuji TV drama “Taro celebrities and poverty,” Song was recently appointed as the 2nd single “Hero” was released. 3rd single “Goodbye to love this,” the Chaku-Uta (R) in Blake. A single plane and two 4th “liar / If you need to separate that day,” also distributed DL topped 200,000, “the lyrics can relate to love,” established his style. Force alone in January 2010 1st album “romance” was released. Specific conceptual album lyrics Love has been highly acclaimed with long sales from various quarters.